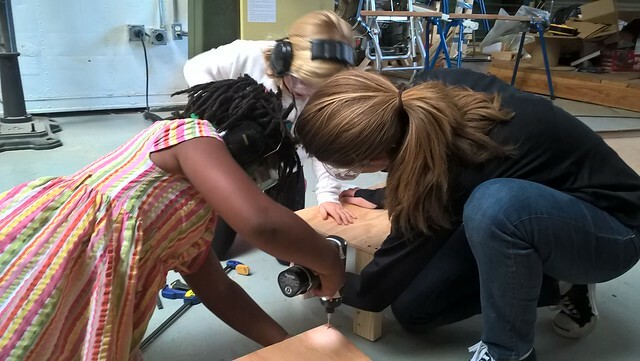 It was so amazing to see these kiddos hit the gas and carry their projects across the finish line. Oscar and I put together a spider web to finish up the setting for the plant play, and we made beautiful posters to show and describe the process for making both the plant play and planter boxes. We had a visiting student for several days, and we made a whole bunch of bread for Expo Night. 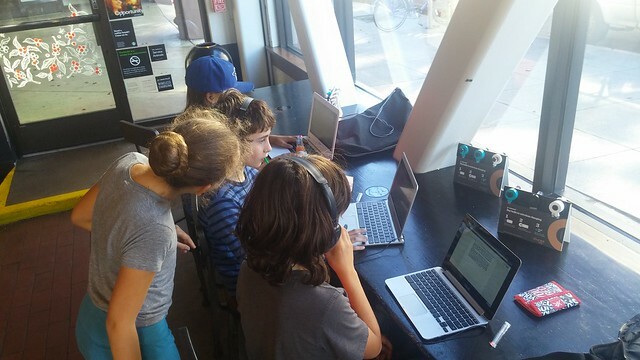 Plus, kiddos really showed their listening skills at project presentations in the afternoons. Gertruda’s mom is a friend of Gever’s. 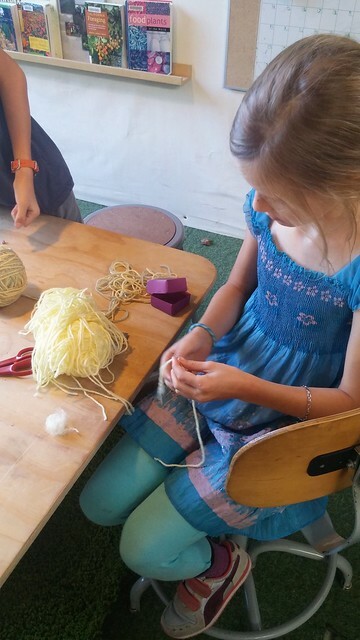 She hung out with us Monday through Wednesday, while her mom was visiting Brightworks and a few other schools. It was like she had always been with us, and we miss her already! She loved checking on the plants in our planter boxes and helping feed our sourdough starters to get ready to bake bread. 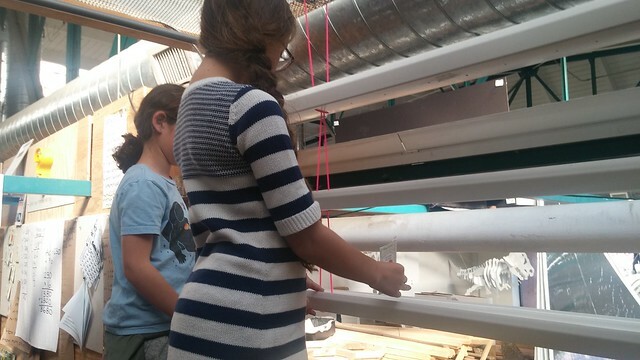 Gita and Tesla work on a poster showing our process for building our planter boxes. This time around, kiddos wrote all of the captions for the photos! Sadie and Gertruda worked together on a poster showing the history of the plant play. Gertruda is showing Sadie an idea she has for showing which caption goes with which picture. Wowee! The reveal on the planter boxes was so dramatic and satisfying. 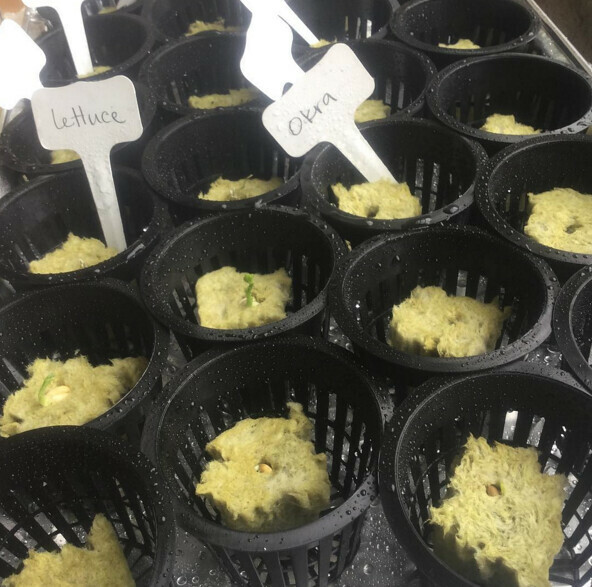 The plants that worked the best were the peas and potatoes: the peas sprouted quickly, and the potatoes grew right up against the plexi-glass, showing off their roots really well. 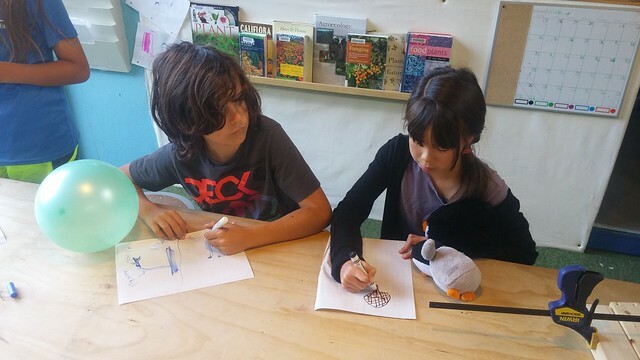 Doodling in his (second) sketchbook really helped Emilio listen during all of the project presentations this week. 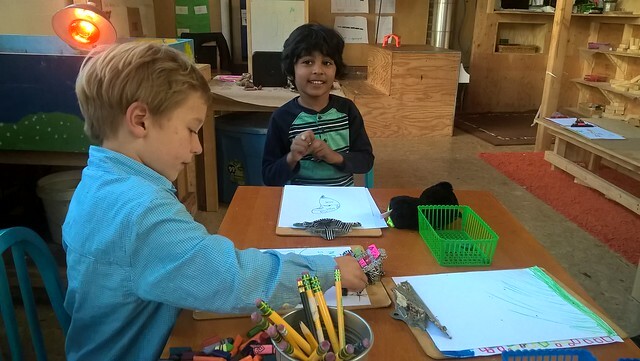 He LOVES to doodle, and I’m hoping to organize his doodles into a flip book or graphic novel before the end of the year to show all of his hard work–and the story that connects them all together in Stick Figure Land. I’ve really been enjoying taking pictures of the kiddos’ hands lately. Here, a few kiddos are working together to knead 4 loaves worth of bread dough. Wowee! I love this! I accidentally tore the corner of the butcher paper when I tore it off to cover our table before Expo Night. During our last minute Expo Night preparations, I noticed Isaac and Tesla taping the corner back together and then turning it into a spider web. Talk about a Beautiful Oops! As I look forward to the Human Arc, I’ve been thinking a lot about our Class Meeting. On Wednesday, I introduced a Class Meeting Journal to the Orange Band. 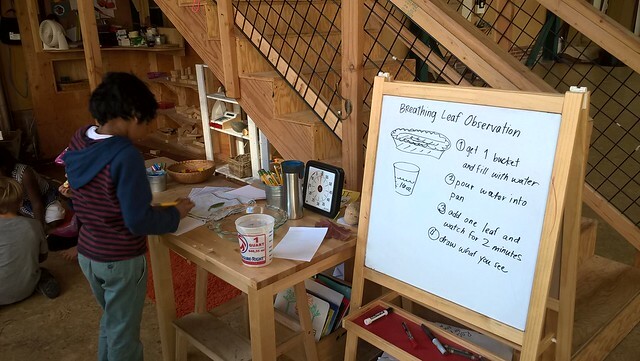 I first heard about the idea of a Class Meeting Journal when I read the book Belonging, by Mona Hallaby who teaches at Park Day School in the East Bay. The idea behind the journal is for each student to have a way to report interpersonal issues, or share a personal struggle that they’d like to discuss with the group. The journal will be framed in a method of meditation designed by Thich Nat Hahn called Beginning Anew. Each week, we’ll take time to voice personal successes and failures and conflicts that have arisen. We’ll listen positively and compassionately, and respond in non-judgmental language. 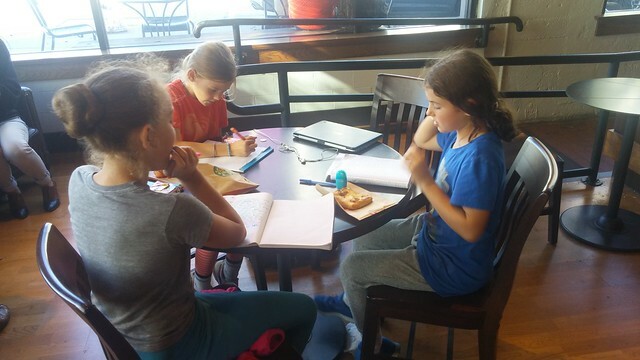 The journal will give each kiddo a chance to voice a conflict or a struggle, even if they don’t feel comfortable speaking in front of the group. 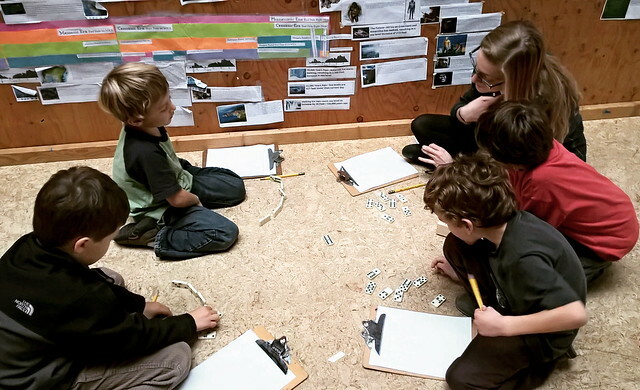 More and more, I find that when we approach issues head-on, speaking frankly and empathetically, kiddos employ the language and strategies that we discuss to manage conflicts, and feel more comfortable sharing their personal struggles. After all, we all have strengths and weaknesses; we are all HUMAN. This week, I got the kiddos to do a little bit of my job for me! Since the beginning of the school year, we’ve been writing in reflection journals. During this arc, we tried to focus our journalling on our expression project work. In order to understand why we did this, one day we visited an upper school band to see how they reflect. One thing the Blue Band does as a part of their reflection practice is write blog posts. This blew the Orange Banders’ minds! 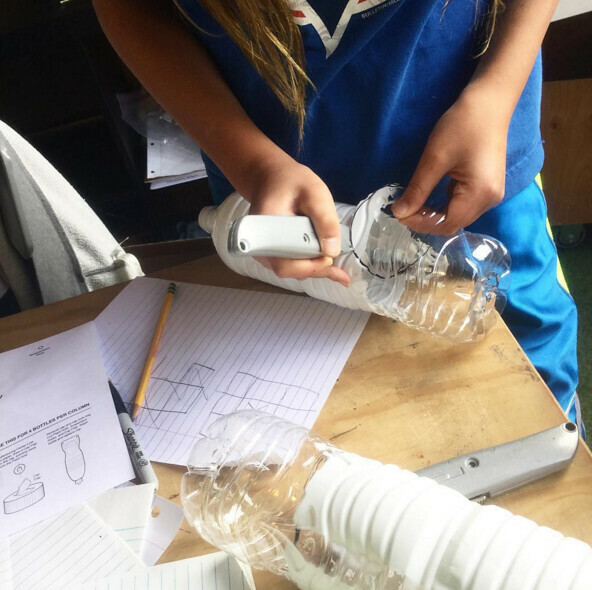 I realized that they had never seen the blog I write, so I took a few minutes to show them the Orange Band blog, and almost immediately kiddos asked me if they could write a blog post for the band. Answer: YES. 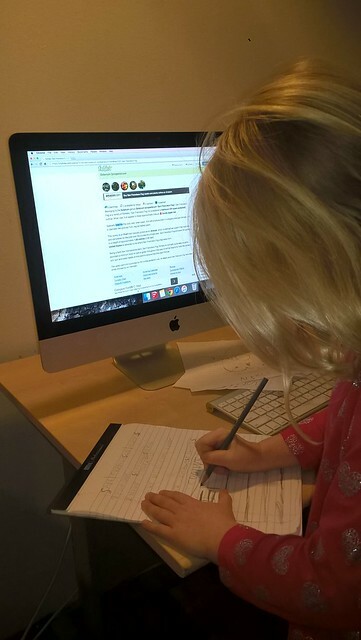 What you’ll read below is each kiddo’s journal entry from last week, plus a picture they chose to reflect the journal entry and a caption the kiddo and I wrote together to describe the picture, and connect it to their reflection journal entry. I don’t feel like I have any trouble with compromising because I like participating with the group. But it’s hard to compromise when I’m supposed to write. The other bands had a caulk gun and we had to wait, so we compromised made our own out of a clamp and a caulk container. After we waited, we got the caulk gun. In this picture, I am using the caulk gun on the planter because it was leaking. I like compromising because it is a win-win situation, like when me and a friend are arguing. We often needed to compromise when people were begging for turns to plant in our planter boxes, or go on the swing, or use the chopsaw! In this picture, we are cutting the potatoes to put in our planter boxes. We had to take turns cutting because we just had one knife and cutting board. Because we compromised, everyone got a turn who wanted one. 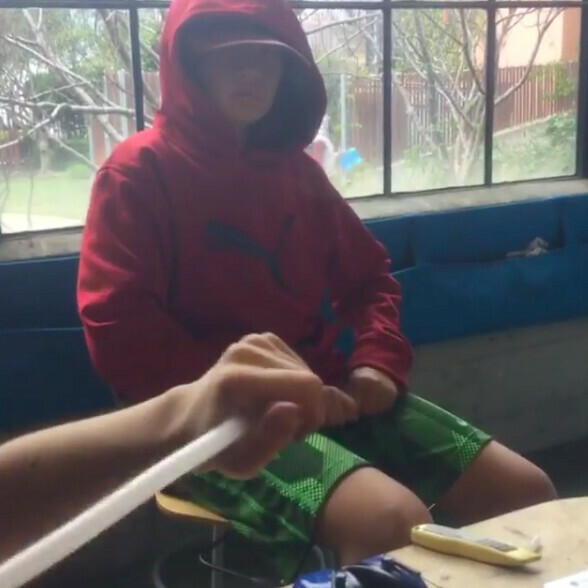 It’s hard for me to stay with the group when people are arguing. I can use my headphones or work in a different space. When people are shouting, I need to work in a different space. Sometimes, I leave the group in order to work in a different space where I can focus. In this photo, I’m working on the planter boxes. I’m putting in the plexi-glass. I’m working on listening. 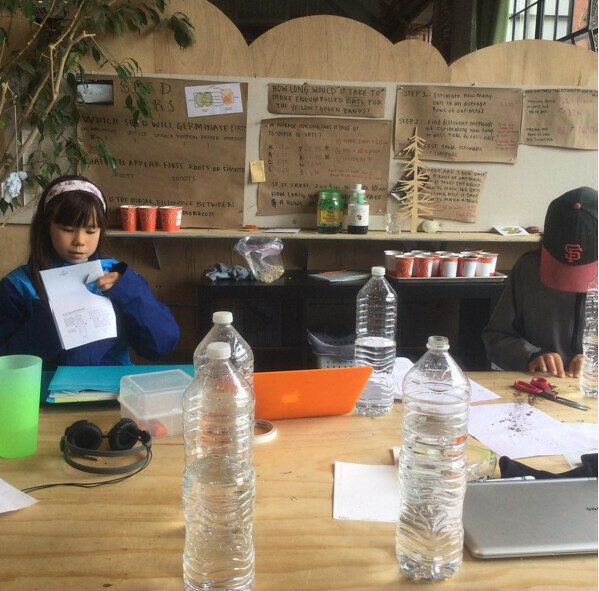 It was hard for me to listen when we were working on the plant play when I was hungry. In order to listen better I need to eat more snack during snack time. Sometimes I miss some of snack time because I am playing on my computer or reading or playing on the cork floor or hiding in the closet. In this picture, I’m helping Tesla sew her wings. It was fun because once when we were switching jobs on the sewing machine, Tesla decided she wanted to change right back to her original job! It was fun because I liked steering, and she liked using the pedal. It was hard when we were working on our planter boxes. It was hard to focus when we were putting on the plexi-glass. Putting in the screws was hard because sometimes the plexi-glass cracked when the screws went in. Working with a partner helps me get more done when I’m working in the shop. Gita helped me put in the screws for the plexi-glass. I chose this picture because it shows a time when working on the planter boxes in the shop was better with a partner. Sometimes when I’m not focused, I need to take a lap on the cork floor. Sometimes, I felt really silly when we were working on our planter boxes in the workshop. Piper and I are talking about how I need to use a finish washer so the plexi-glass won’t break when we install it onto the planter box using screws. It has been a busy time for the Red Band. We continued our work with collaborating around the school and set up a math workshop with the Orange band. In preparation we discussed what it meant to be a teacher and worked on communicating rules and procedures. We prepared ourselves for Uno, War, and of course Cubetto. We divided ourselves up to teach each of our games to Orange while they taught us to play and score Dominoes and 10-up. 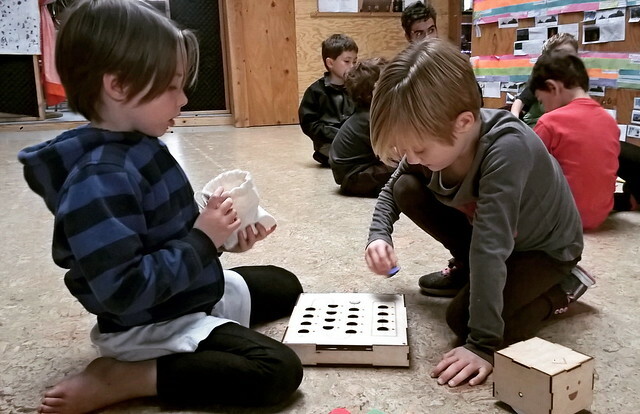 Cubetto continues to help us discover process and problem solving as we create challenges for one another. 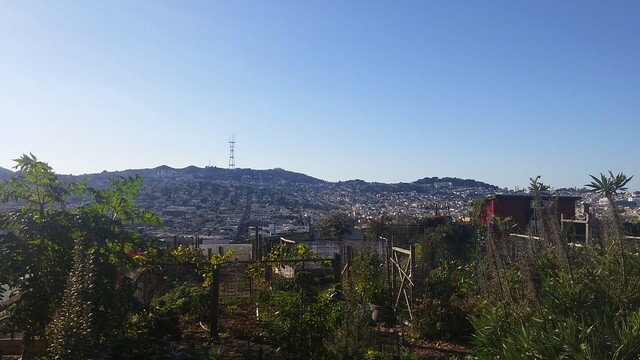 Our time at The Benches Community Garden have been filled with observation, recording, and weeding. 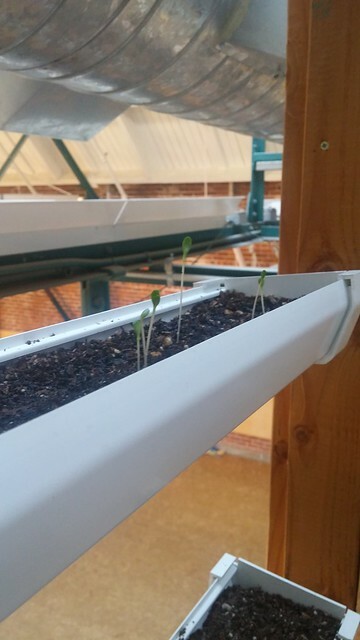 We now have poppy and 3″ pea sprouts. 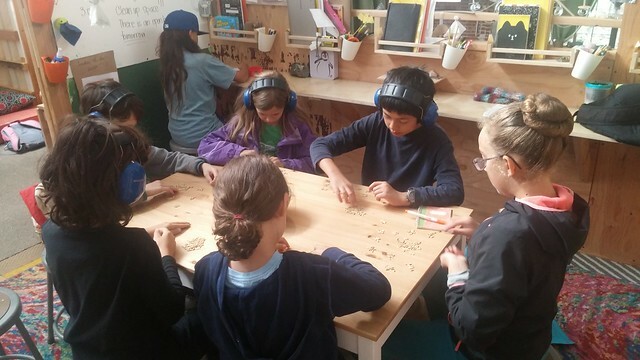 We spent the last week exploring the job of a seed which is often to flower and provide food of sorts. We observed and painted sunflowers and read. 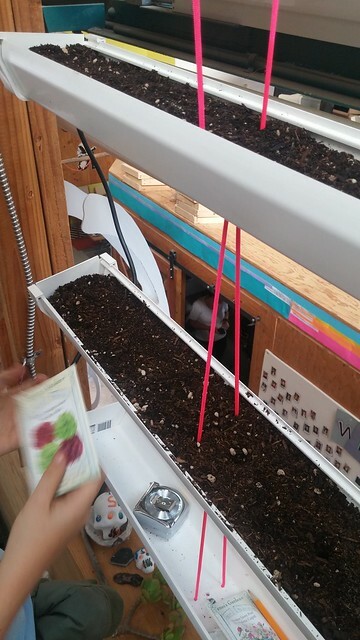 Our sunflowers and collard greens are all growing now after few kids replanted in their boxes and after four weeks of growth, we have two kids working on planter boxes to accommodate their plants’ needs. We read our seed packets and did some math to figure out how much space our sprouts would need if they were to be replanted. 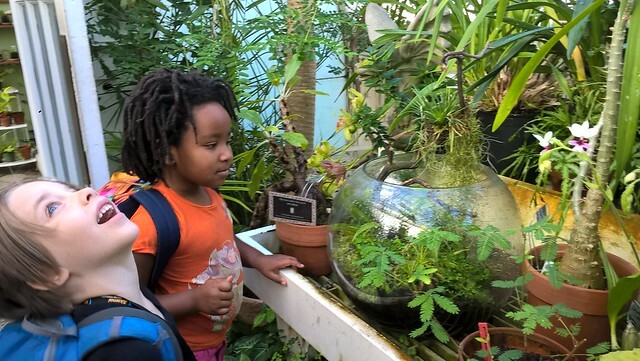 We took a trip of the San Francisco Conservatory of Flowers and learned about climates. In preparation for our trip we did some research based on our Plants book. We chose one climate and searched for plant images before choosing our favorite. Each kid had to find out the name and climate location/origin. We will continue to research these plants and climates. And we began work on The Red Seed. This post is a collaborative writing project by the entire Yellow Band. Enjoy! 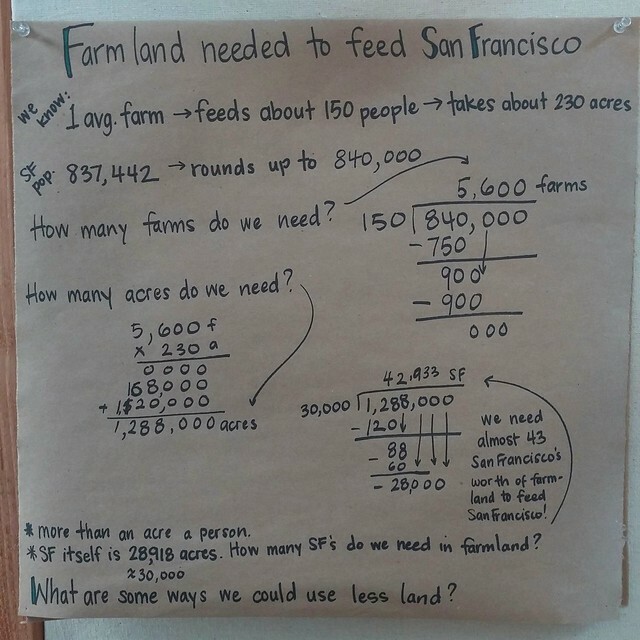 We began our week by figuring out how many acres of farmland we would need to feed San Francisco’s population of roughly 840,000 people. We found that it would take the equivalent of close to 43 San Francisco’s in acreage, if one farm of about 230 acres feeds on average 150 people. That’s a lot of land! 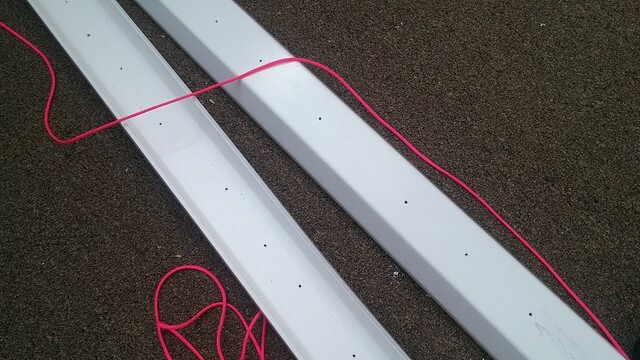 Like our hanging gutter planter, one solution is to farm vertically, minimizing its footprint. We have been continuing to observe out self-watering planters. 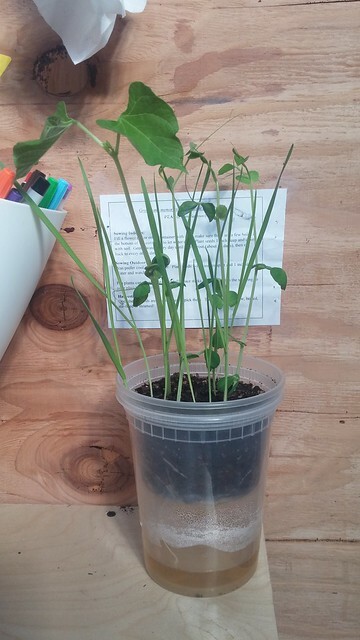 Last Friday, Quinn’s pinto bean plant had not yet sprouted and by Monday morning it had reached about 7 inches tall. 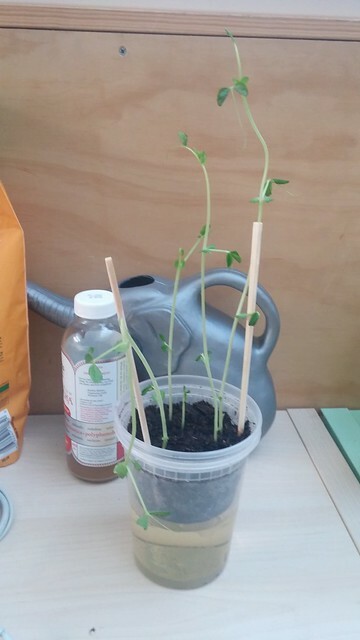 In comparison, Huxley’s lentil plant which had already sprouted last week only grew about 3 inches over the weekend. 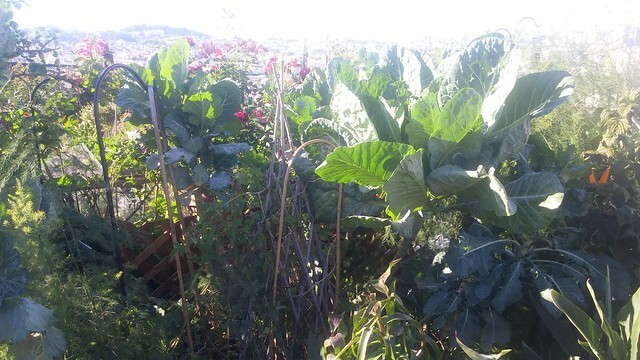 Patrick’s bean plant that was left to grow on the ledge under the gutter planter has grow up and around the gutter to reach the sunlight. 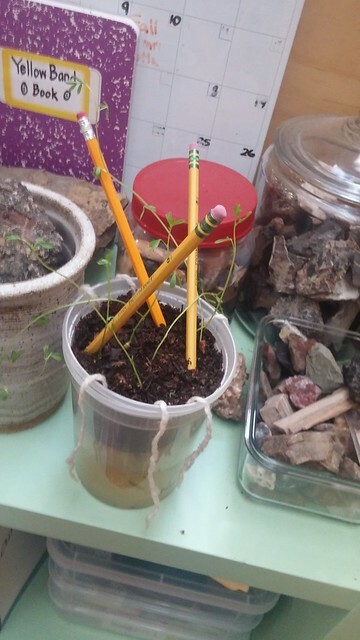 Justin’s plant still has not sprouted. He believes that his soil was too wet when he planted his seed. 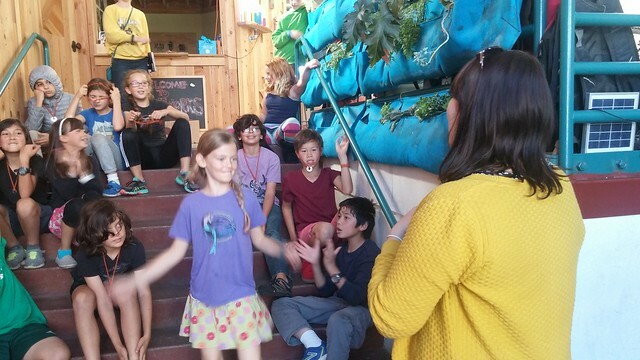 On Monday afternoon, we walked to the All in Common Community Garden with the Green Band. We continued to read our book Seedfolks. Change continued to be a theme in the chapters we read. We volunteered at the garden and met the garden’s resident cat. 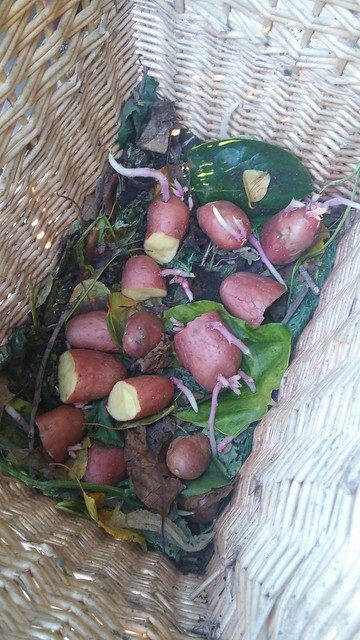 We swept and raked leaves to use as fertilizer for some potatoes we helped plant. 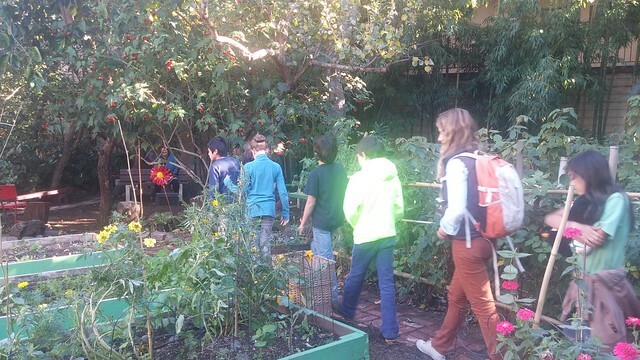 We learned that the garden had once been a vacant lot just like the garden in Seedfolks. 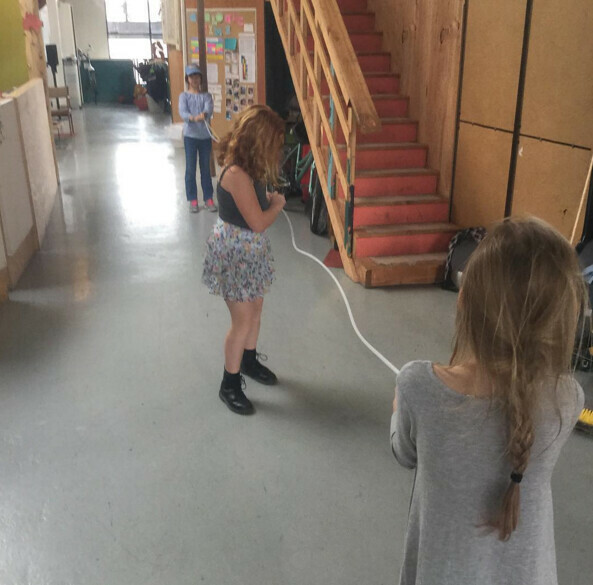 On Tuesday we began our Seed Dispersal Olympics with the Green Band. 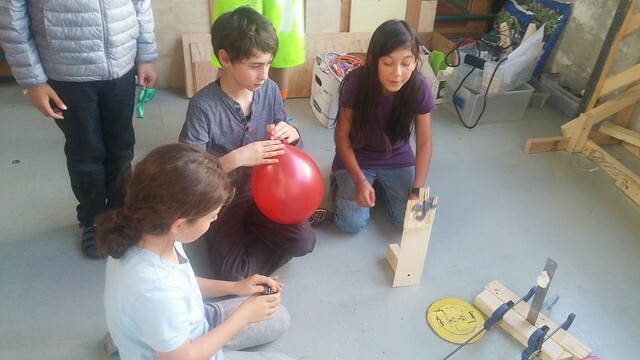 Our first event was to build a machine that could be activated in the wild that could fling or explode seeds. To help us gather ideas we watched a short video about plants that use explosions to spread their seeds. 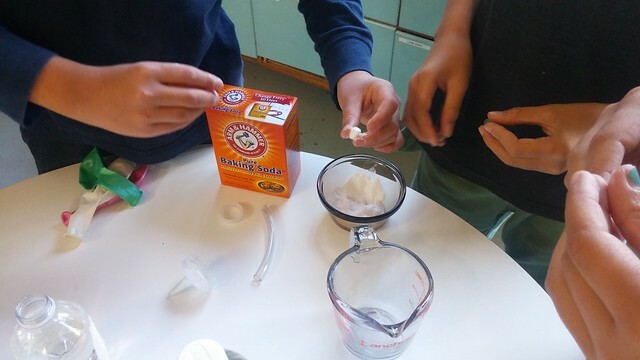 We all created different designs including slingshots, catapults, and balloons fill of vinegar and baking soda. We will be testing all the designs on Friday. 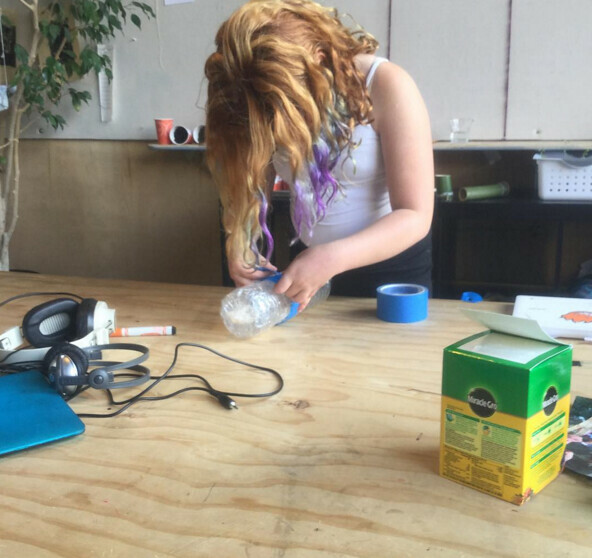 Wednesday morning we continued our Seed Dispersal Olympics by creating ways to disperse seeds in water. We looked for materials that would float and hold air. 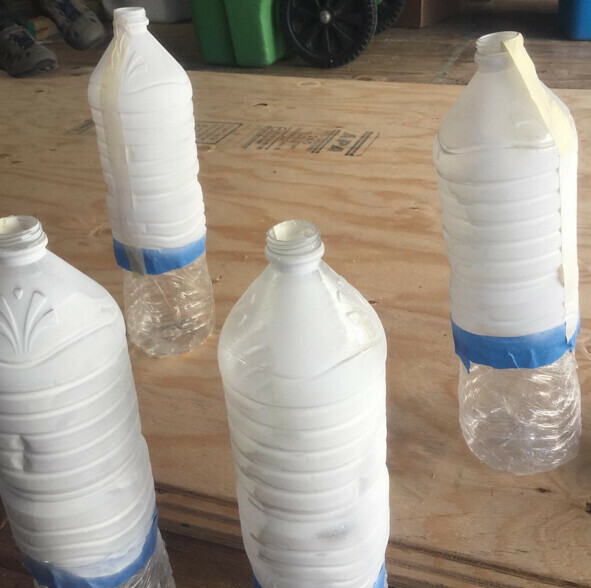 Some included corks, balloons, and tin foil. In the afternoon, we went to Starbucks to write our NaNoWriMo stories. We wanted to try working in a different environment than our band space. Being able to buy our own treats made some of us feel a bit more at home. Justin, Quinn, and Patrick shared their stories with one another giving each other the chance to add a sentence to each story. On Thursday morning we began our wind powered Seed Dispersal Olympics. Lucy looked for fluff to add to a seed to help it fly. 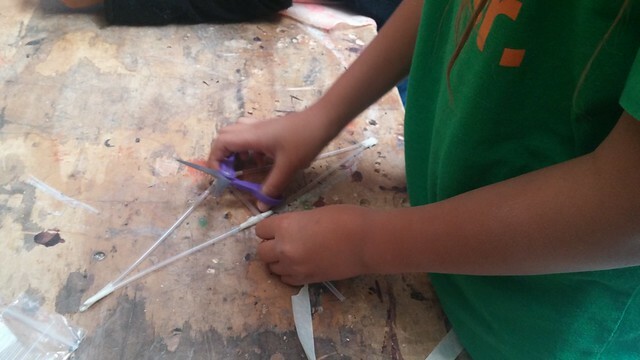 Nora and Quinn worked to create a hang glider balloon, while Patrick frayed paracord, and Justin worked on a straw and paper hang glider (which he thinks would work better as a boat.) 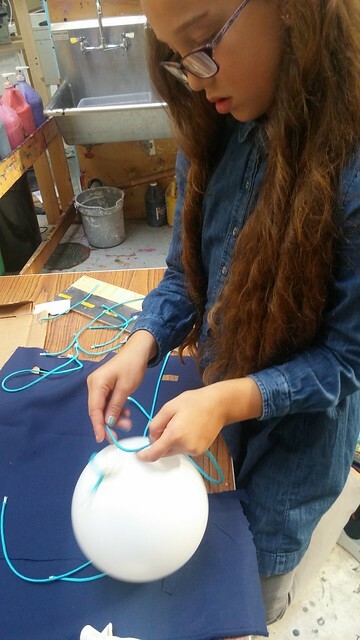 Huxley and his group used tracing paper to make a lightweight bowl to hopefully trap the air as it travelled. After a few trials, Huxley found that his bowl waited to be dropped the opposite way than he had originally expected. Friday morning brought the “competition” portion of our Seed Dispersal Olympics. 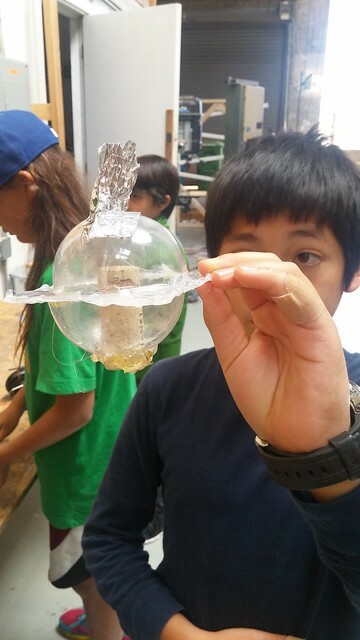 We saw everything from catapults to balloon rafts to fluff to water balloon popping devices. While each machine dispersed their seeds in their own unique ways, all machines showed incredible thought regarding the method of dispersal. 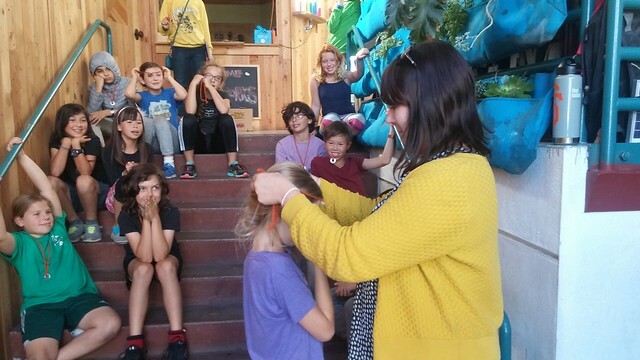 After the competition, each band member received a medal for their individual contributions to the Seed Dispersal Olympics. 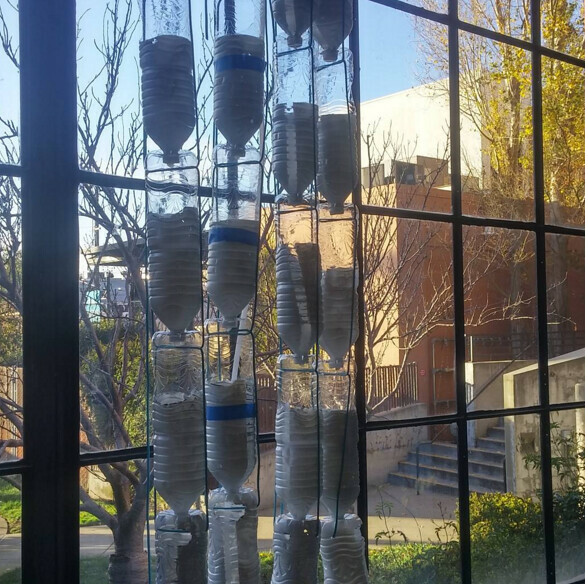 Oat math, Seedfolks, hanging gutter planters, and NaNoWriMo. The Yellow Band has been busy exploring seeds. 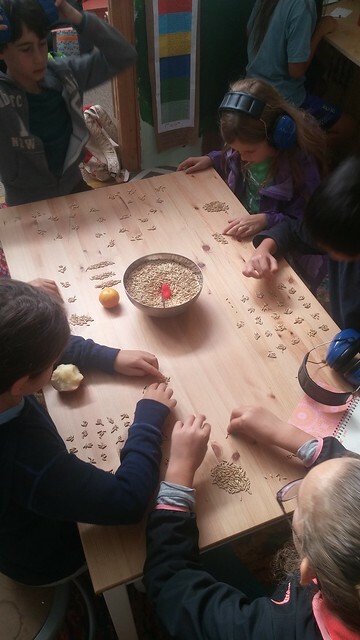 We began our days exploring the math concepts of estimation, averages, and time by way of Gever’s oat seed. 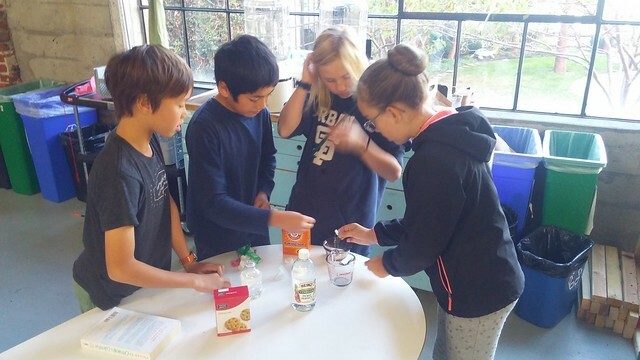 The task: find out how many oat seeds need to be peeled for one cup of oats and how long will it take. 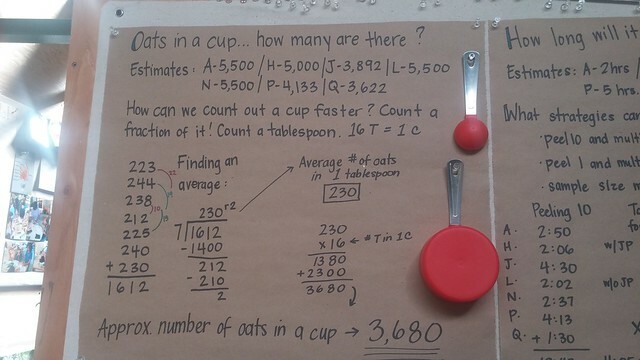 Estimates on how many oat seeds make up one cup ranged anywhere from 3,622 to 5,500. 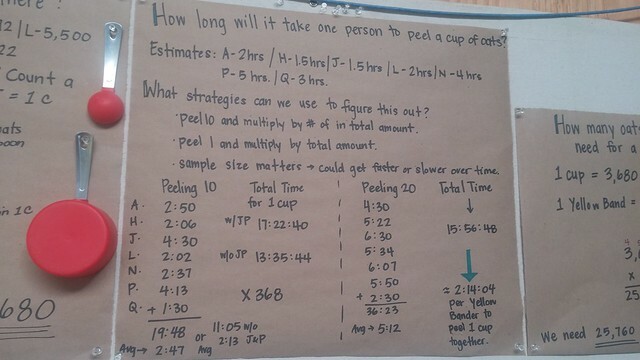 Recognizing that it would take them many hours to count that amount of seeds, they decided upon each counting how many they had in a tablespoon, taking an average of each band member’s quantity, and multiplying that by the 16 tablespoons it takes to make up a cup. 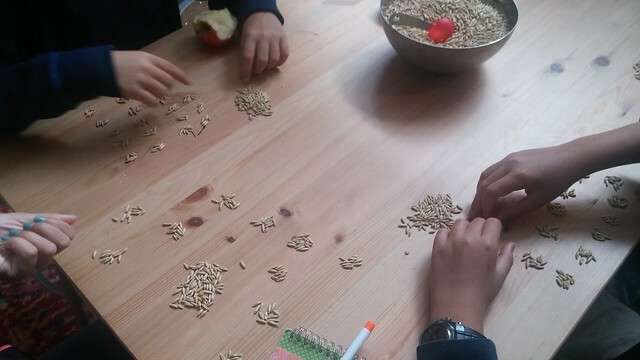 Strategies for counting possibly hundreds of seeds popped up quickly. Soon enough everyone was grouping their seeds in groups of either fives or tens. After counting and taking an average, we found that a cup would have approximately 3,680 oat seeds in it. It’s pretty amazing to think that one of the estimates was only 58 seeds away! 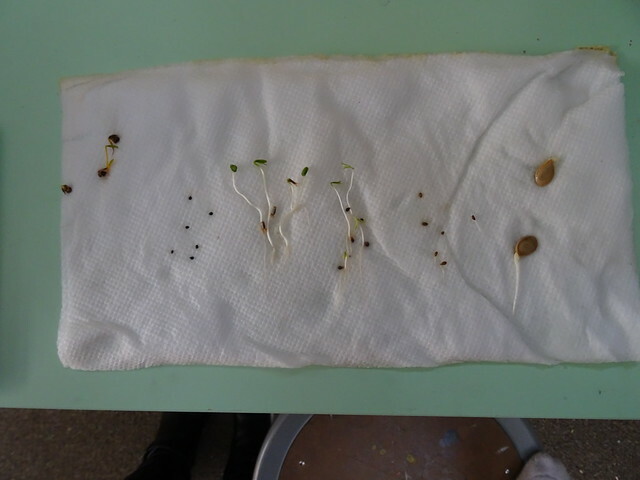 After our work around the quantities of seeds we began to look at it in terms of time required to peel the oat seeds. Estimates to peel one cup of oats ranged from one and a half hours to five hours. We brainstormed strategies for figuring this out without having to actually peel 3,680 oats. 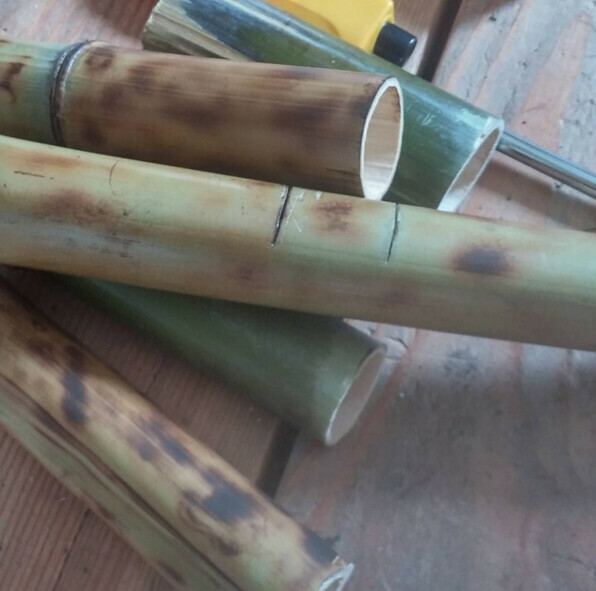 We also realized that the rate at which we could peel the oats might fluctuate over time due to improving our skills (faster) or tiredness (slower). We decided to time our peeling for two different quantities: 10 oats and 20 oats. We found that when we peeled 20 oats we did improve our time ever so slightly, so we decided to take the average of our total time for both quantities. We quickly found that we were way off with our estimates. According to our work, it would take around 15 hours 38 minutes and 24 seconds to peel all those oats. More than three times our longest estimated time! 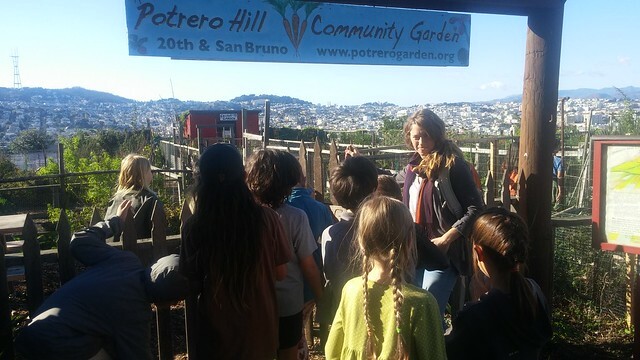 One afternoon we took a walk over to the Potrero Hill Community Garden with the Green Band. 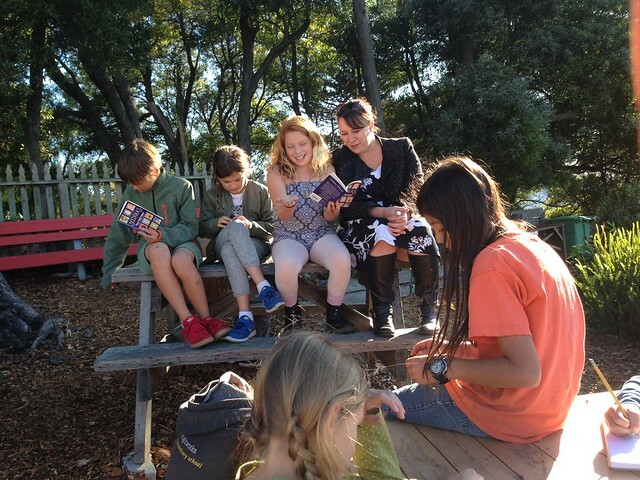 After exploring the gardens for a bit, we gathered together to begin reading the book Seedfolks. Each chapter covers a story about each of the characters contributing to a community garden in Cleveland. We talked about the themes of change and community that wove throughout the stories. We found ourselves embodying those themes when we helped the garden coordinator with some clean up and by bringing in the compost bins. She kindly thanked us by sharing some of her lemon verbena that we dried and made tea with the following morning. Wanting to take a closer look at the process of germination, we created a seed jar. We chose a variety of seeds, including pumpkin, forget-me-not, beet, California poppy, carrot, squash, and cornflower. 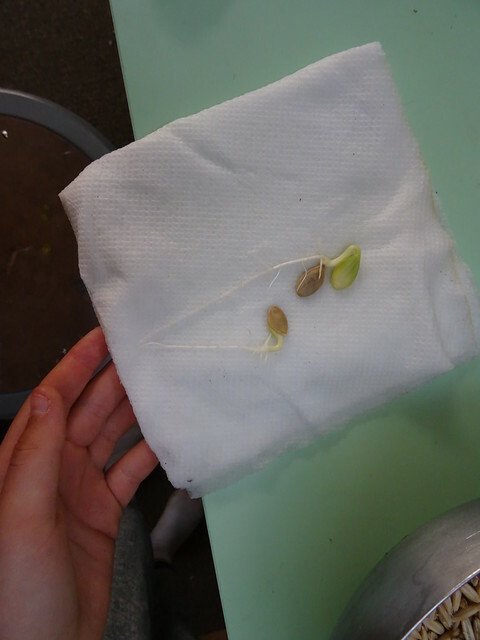 We talked about what might sprout first, shoots or roots, the majority said shoots, and took guesses as to which seed might germinate first. 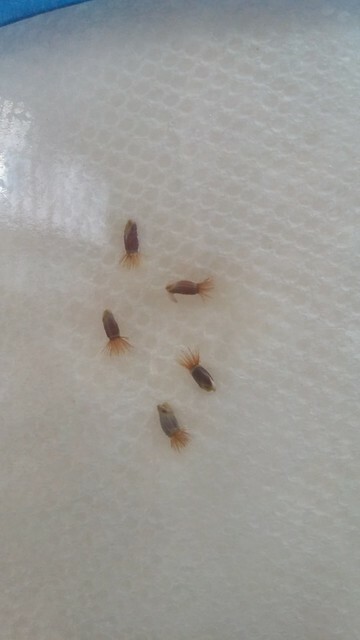 After three days our first seed germinated. It was the cornflower and it was the roots that sprouted first. 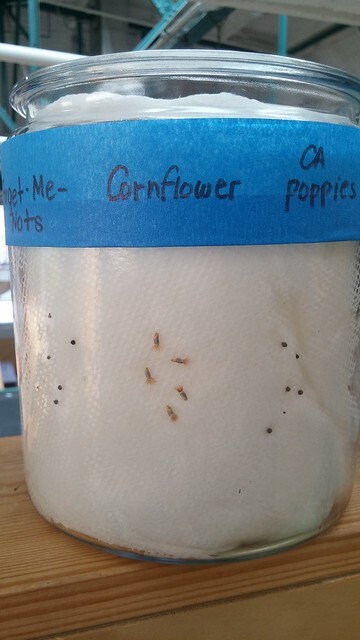 The poppy seeds weren’t far behind in germinating and by the end of the week, the only seeds that showed no sign of germination were those of the forget-me-nots. 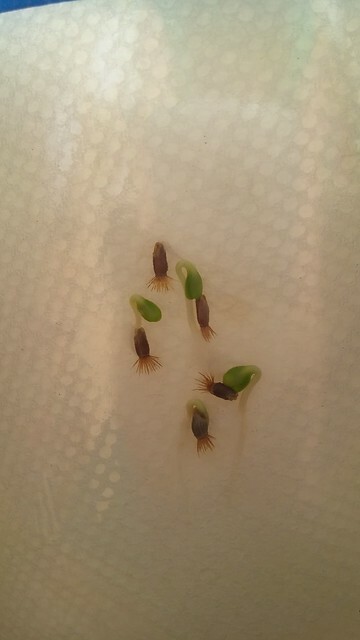 The roots of a number of them had also buried their way into the paper towel they were growing on. 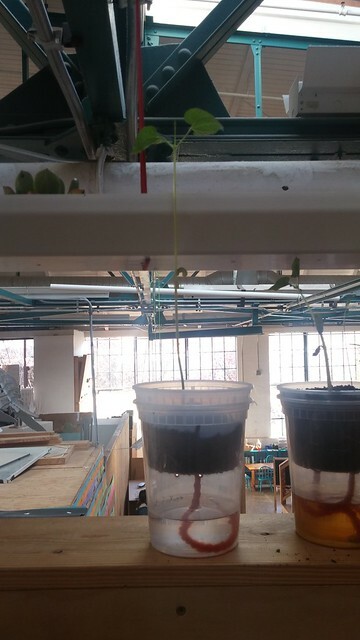 Looking to grow more plants in our band space, we decided to take advantage of our vertical space and created a hanging window planter out of rain gutters. 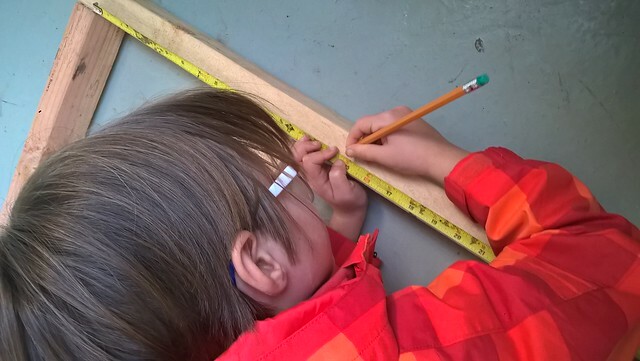 We had to take measurements of the window, draw out our plans, cut down our gutters, plan our plantings, find a way to hang it, drill holes for drainage, fill them with soil, and plant our seeds. 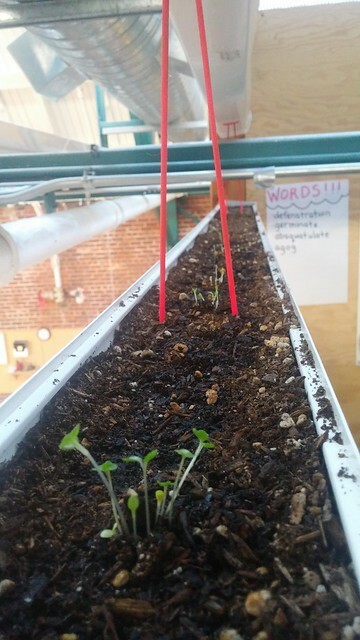 Hopefully in a few weeks we will have everything from lettuce to poppies growing in our space. Welcome to the Red Band’s exploration of seeds. During our first week of this new arc we identified the needs of a seed: water, air, sun, and soil. 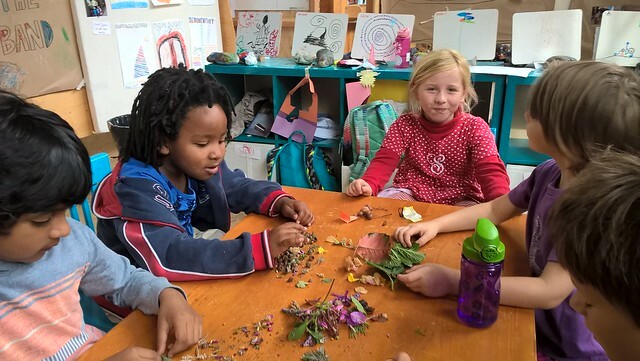 We went on a neighborhood seed hunt and sorted our findings by: seeds, seed holders, and leaves and flowers. 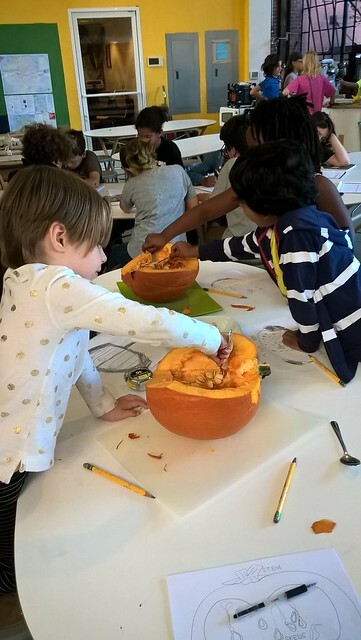 Our second quest for understanding seeds came by way of dissection. 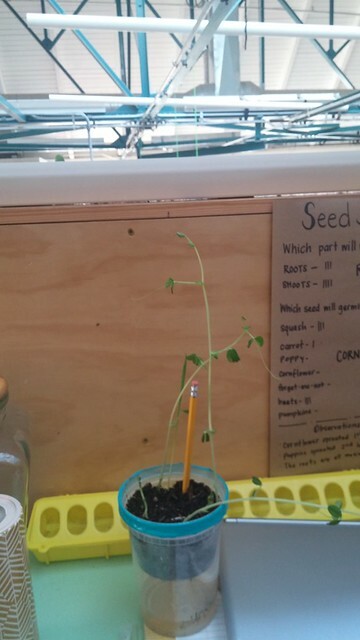 We are still working at our first thoughts on what a seed needs to grow. This week we tested cut leaves to observe their relationship with water and air. We confirmed that plants need air to breathe once we saw bubbles form on a large smooth leaf. After observing a small smooth leaf for two minutes we saw no relationship. Two minutes with a small fuzzy leaf also showed no relationship but the kids observed that it felt softer after its bath. We had the opportunity to visit Slide Ranch in Muir Beach. 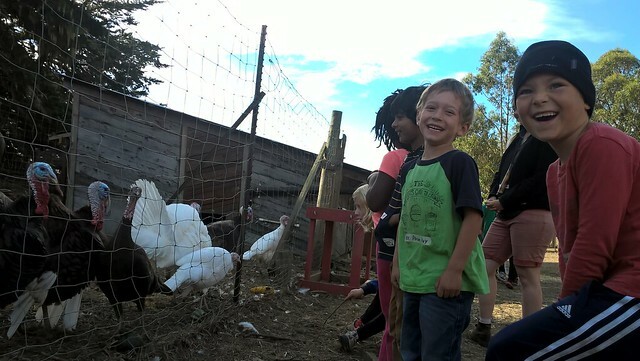 This lovely working farm welcomed us for a day of hands-on appreciation for people, plants, and animals. Our teacher, Reesha Rabbit, introduced us to sweet goat named Amber who let us milk her. We met turkeys and worked on our turkey calls. In the garden we learned a lesson on respect: how to show it and how to ask for it. 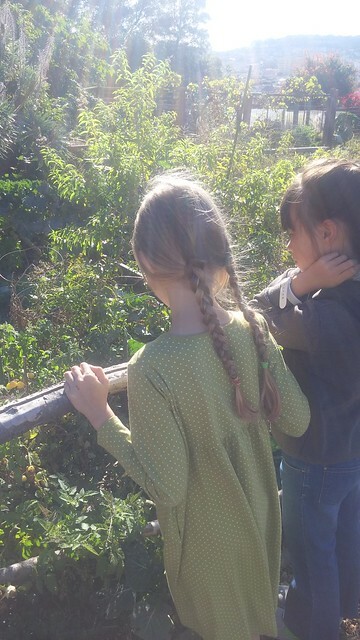 We tasted herbs and vegetables before visiting the ducks. We quietly quacked a song for them to enjoy which we now call, “March of the Nutquacker”. Finally we met one protective rooster and many different types of hen. And we were able to hold and observe a freshly laid bumpy egg.